Finally, a reason to smile! If you are a denture wearer, you finally have a reason to smile! Denture wearers can now have comfortable, confident and pain free smiles. Thanks to the Atlas® Denture Comfort procedure, millions of people who are suffering from the problems of loose and poor fitting lower dentures can receive state-of-the-art narrow body implants at a fraction of the cost of traditional implants. Gives fast results - You wear your denture home the same day! Why choose our dental service? Our patients choose our dental service because they receive quality dental treatment for a fraction of the cost of traditional implants. We understand how frustrating loose lower dentures can be. It not only causes problems when you’re eating and talking, it can also be quite painful. During your visit, Dr. Kurtzman will repair your loose dentures so it fits comfortably in your mouth. Call Dr. Kurtzman today to find out more about the Atlas® Denture Comfort procedure. When it comes to dentistry, our ultimate goal is to make sure all of our clients feel comfortable as possible. 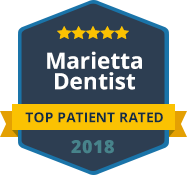 For additional information about our dental services, please feel free to call our office to schedule an appointment at: (770) 980-6336 or contact Dr Kurtzman’s dental office via email.